Scottish born Robert Louis (Balfour) Stevenson (1850-1894) is probably best known for his classic adventure novels Treasure Island (1883), Strange Case of Dr. Jekyll and Mr. Hyde, and Kidnapped (both from 1886). Plagued with ill health throughout his life, he died early at the age of forty-four on the island of Upolu, one of the Samoan islands, in the small village named Vailima. He was buried on the slopes of Mt. Vaea, a short distance from the village. Coincidence, perhaps, is that the only Samoan brewery has named its beer Vailima. 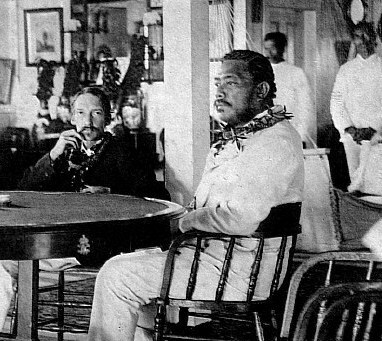 In 1888 Stevenson embarked on a voyage from San Francisco to many ports of call in the Pacific, including Hawaii, Tahiti, New Zealand, and the Samoan Islands. Settling on the aforementioned Samoan island of Upolu, in 1890 he purchased four-hundred acres of land, was well-loved by the native inhabitants, and was known as (and took to calling himself) "Tusitala," the Samoan name for "Teller of Tales." Less well known is that Stevenson's imagination was as far-ranging and exotic as his Pacific South Sea travels, and he would pen several tales of a more fantastical nature, "The Bottle Imp" (1891) providing a prime example. It is most easily found in his 1893 collection Island Nights' Entertainments (aka South Sea Tales). The titular bottle is a pristine white on its outside, but swirls with rainbow colors within--while a murky shadow can be glimmed within its deceptively bright interior. With strange properties (think Aladdin's Lamp)--it can grant wishes. There's always a catch, of course, and Stevenson provides an ingenious one here, which enhances the dramatic tension, as the curious condition of ownership allows Stevenson to examine human weaknesses and strengths with great insight as the bottle is by mandate passed from one owner to the next. "The Bottle Imp" is a tale of magic, of wishes and dreams, of hope and tragedy, of happiness and disappointment. Which of these will eventually win out is the question Stevenson leaves until the very end of this remarkable tale. "The Bottle Imp" was dramatized on August 21, 1948 on one of Old Time Radio's classier shows, Favorite Story. Favorite Story ran for only three years from 1946-1949, though it was extremely well-received during its relatively short run. The concept behind the show was that each episode would be recommended by some personality of the time, be it a famous author, composer, actor, or literary or music critic. 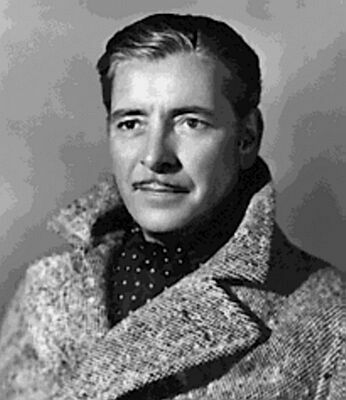 The show was hosted by the renowned English actor Ronald Colman, whose screen credits and suave, sophisticated British voice lent an air of instant respectability to these dramatizations of classic (or sometimes unheralded or obscure) stories. 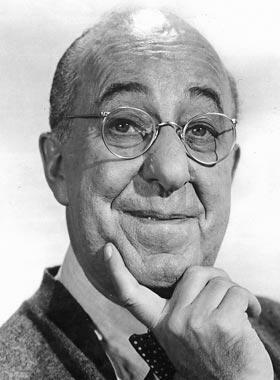 "The Bottle Imp" was suggested by actor Ed Wynn. 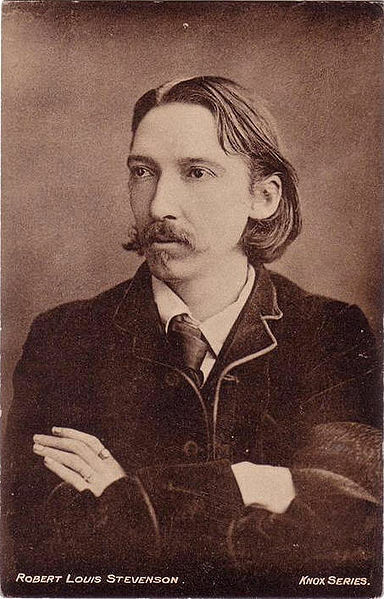 I hope you enjoy this unusual tale from one of the most celebrated, and influential (when it comes to early SF/F writers) of all English language storytellers, Robert Louis Stevenson. And, dare I say, after listening to this obviously impossible tale, you just might want to think twice before you reply to someone who asks "A penny for your thoughts." Especially if, while at, say, some private party or similar gathering of like-minded souls who appreciate rare alcoholic treasures, someone unknown to you asks you to sample a rare brew in a white-labeled bottle...a bottle of beer from Samoa with the name of Vailima. I'm just sayin'.